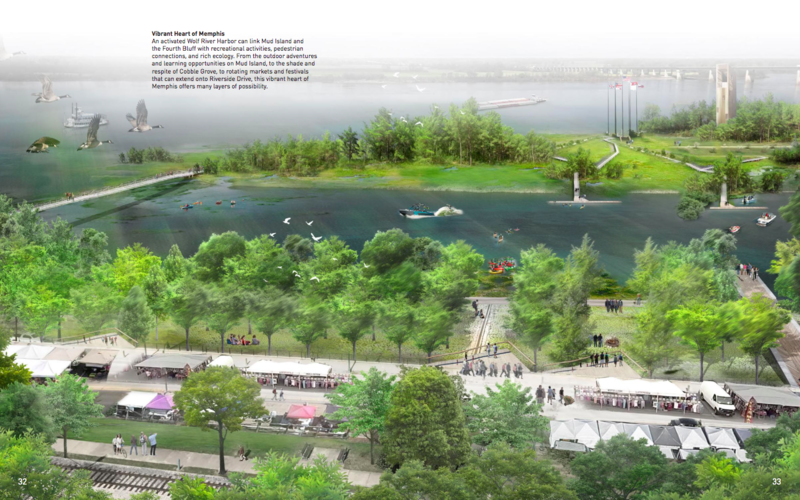 A view of Tom Lee Park from Studio Gang's 2017 Riverfront Concept Plan. 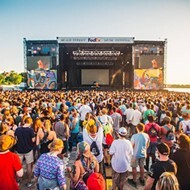 Last year, the Mississippi River Parks Partnership (MRPP) picked Studio Gang, a Chicago-based design firm, and SCAPE, a New York landscape and urban design firm, to lead the redevelopment of the massive park, perhaps best known as the festival grounds for Memphis in May. 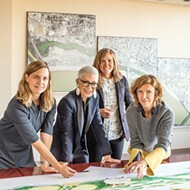 The Riverfront Development Corp. (RDC), the precursor of the MRPP, hired Studio Gang to deliver a new concept plan for the riverfront, which it did in 2017. 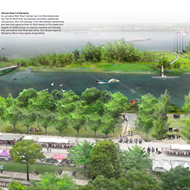 Studio Gang's concept plan shows a reactivated Wolf River Harbor. 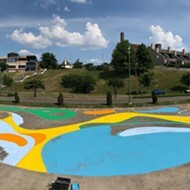 Early reports of the Tom Lee Park redesign have included adding rolling hills and trees to the park, and sectioning the now-wide-open space into a series of outdoor rooms. Such features were shown in Studio Gang's concept. But no new concept renderings have been published. That will change at noon Saturday, February 2nd. 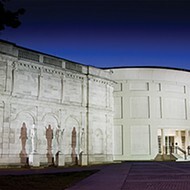 The public is invited to see new pictures, a scale model, animations, and “an immersive virtual reality experience,” according to a news release from MRPP. The event will be held at a new “engagement center” located at the north end of Tom Lee Park. 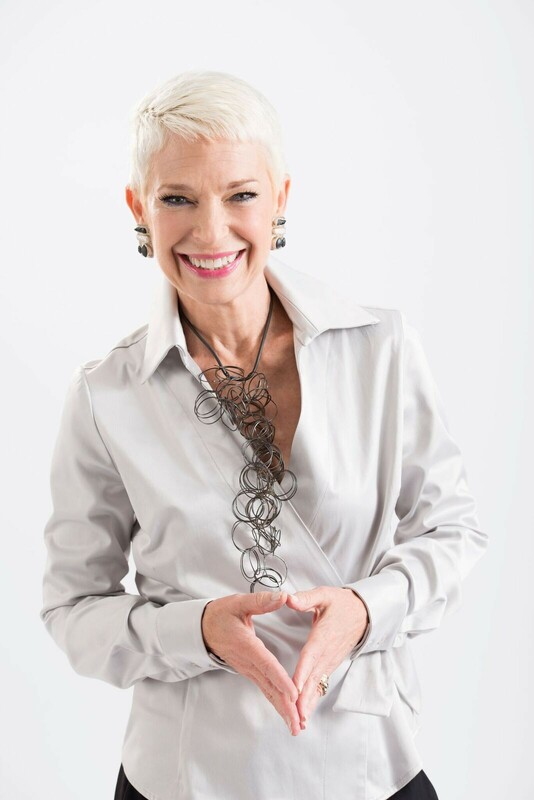 “Memphians have been imagining what this riverfront can be for almost 100 years,” said MRPP president and CEO Carol Coletta. 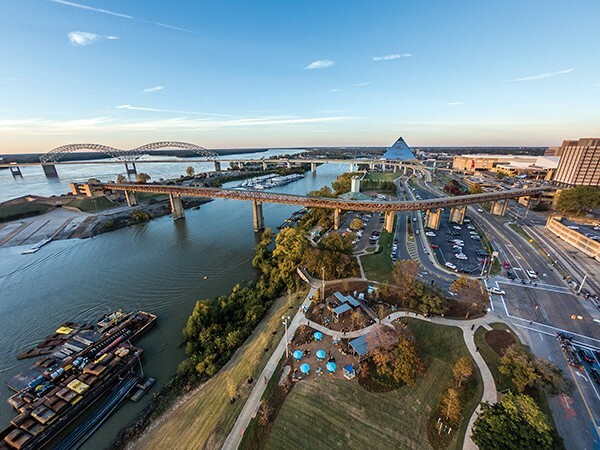 “After two-and-a-half years of studying every riverfront plan and hearing from more than 4,000 Memphians, I think we’ve finally nailed it. MRPP is halfway to its goal of raising $70 million to support riverfront projects. 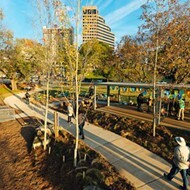 Some of the money has already been spent on the design and build of the new River Garden park, the River Line bike and pedestrian pathway, and the restoration of the historic cobblestone landing. The remaining funds will be spent to redesign Tom Lee Park. 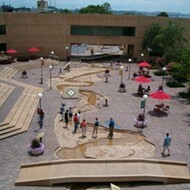 An aerial view of the new River Garden park. 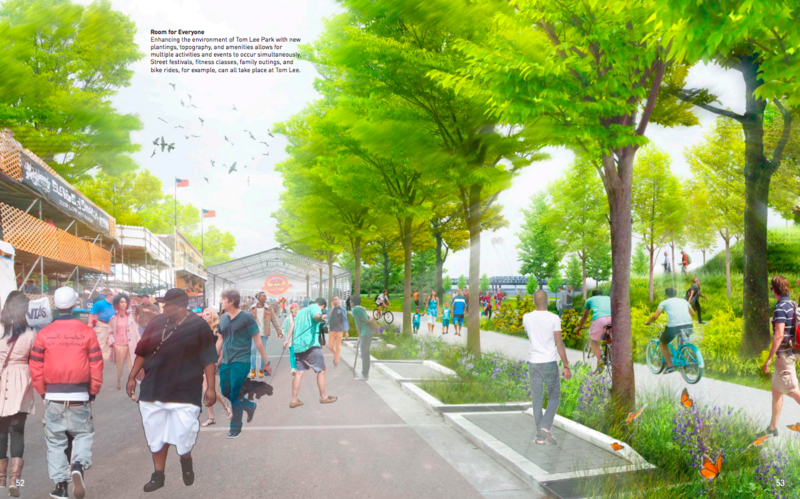 Construction on the park is slated to begin in June and wrap up by the end of 2020. The new Tom Lee Park Engagement Center will be open from 9 a.m.-4:30 p.m., Monday through Friday, for anyone interested in learning about the future of the park. MRPP staff will be at the center from 4 p.m.-7 p.m. every Wednesday and from noon-3 p.m. every Saturday through May. For more information on the unveiling event, check it out on Facebook.